It was remarkably straightforward, even for 1963. The Boeing 707 carrying Jim, Sir John Whitmore, Graham Hill and Stirling Moss touched down at London airport on the morning of Sunday, June 2 – and Jim and John repaired quickly to John’s Mayfair flat for a wash and change. Jim usually slept well on planes, particularly if he could find four free seats in economy, and this flight was no exception. Sunday was a free day – a day to regroup, to catch up and to enjoy England. Tracks from Please Please Me were constantly being played on the radio. I Saw Her Standing There; Twist and Shout; A Taste of Honey. The newspapers were full of Christine Keeler and the Profumo affair. Chris Amon had said he knew someone who knew Christine… Now, on this Sunday, he was delighted to be home, even if he wasn’t on the farm. His Leston track bag packed with fresh Dunlops, his new blue Magnum and Westovers, Jim joined Sir John for the short drive to Crystal Palace in John’s Ford Zephyr early the following morning. Jim was entered in the Normand Lotus 23B for the main race on this Bank Holiday Whitmonday (the sports car race counting for the Autosport Trophy), and John would be back again in his works Austin-Cooper. Both did well in morning practice. Jim, feted as something of an “Indianapolis hero”, qualified the 23 on the front row, beaten only by the much more powerful Tommy Atkins Cooper Monaco of Roy Salvadori. John, too, was very sideways and very quick in the Austin-Cooper. Thirty thousand people flocked to the Palace for the afternoon’s racing (entrance: five shillings for adults, two shillings for children), enticed by the presence of the reigning World Champion, Graham Hill (3.8 Jaguar), Jim Clark, Trevor Taylor, Jack Sears (Ford Galaxie), the best Mini racers in Europe and Salvadori. This was, too, the tenth anniversary of Crystal’s re-opening since WWII. The Indy 500 had not been shown on British TV (as in 2013!) but word of Jim’s brilliance had filtered through via the daily papers. Jim sauntered over, signing an autograph or two for the polite British enthusiasts. Sally, the fashion model daughter of a military father, was at Crystal with friends in support of her local racing team (MRP). She knew Bill, David and Richard Attwood. Now she knew Jim Clark. Jim made a better start than Salvo but the 2.7 litre Cooper-Climax ate the 1.6 litre twin-cam 23B for an early lunch as they hit the longer gears. Jim fell into second place. Trevor initially filled his mirror with his red ARS (Auto Racing Service) 23 – but then it was Mike, driving beautifully and quickly, who made it a Normand two-three. Trevor spun – and would spin again, late in the race, after a driving frantically back to fourth from P10. 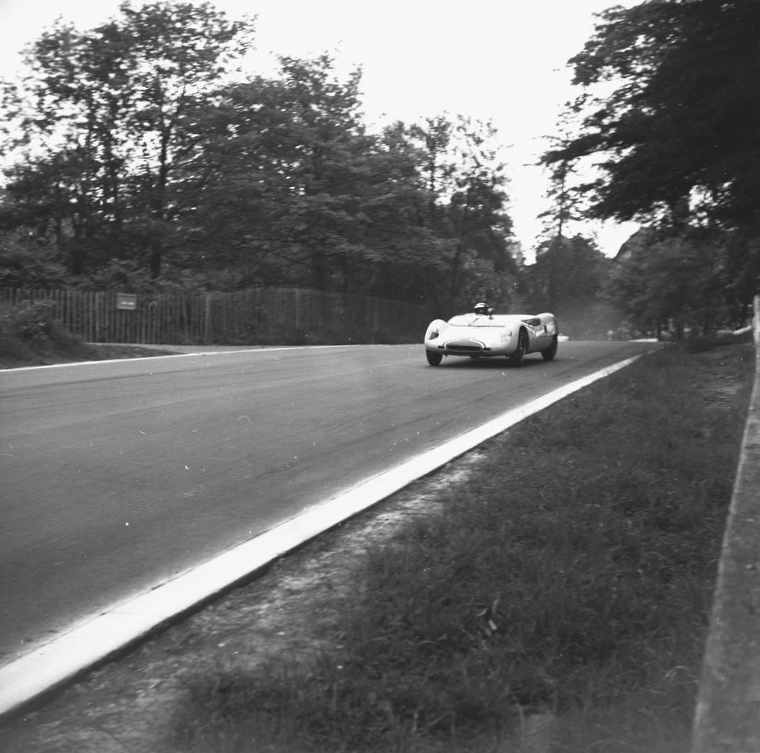 Jim inherited a win when Salvadori’s Cooper lost its gears with ten laps to go. Mike finished an excellent second and Keith Greene, of Gilby fame, finished third; Keith would go on to become Team Manager of the F1 Brabham team. The Minis were outstanding. Sir John won the blast but the tyre smoke and the door-handles were what the crowd took home: Paddy Hopkirk pushed John all the way – as did the deliciously fast Christabel Carlisle. Then came John Rhodes and John Fenning – outstanding talents both. 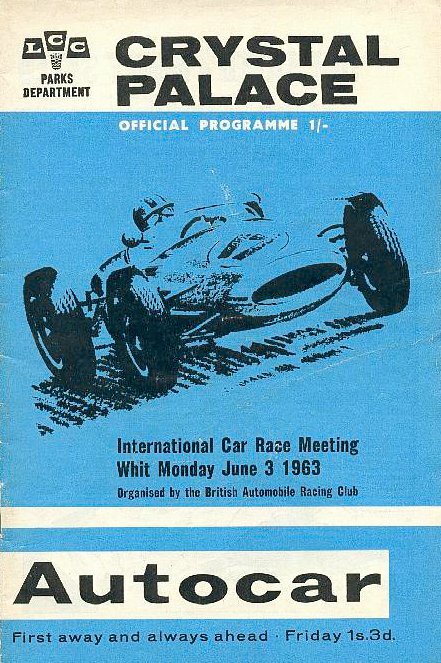 Jack Sears won again with the big Galaxie, from Roy Salvadori and Graham Hill; and Denny Hulme continued his run in the Formula Junior race, leading home Frank Gardner, Alan Rees and David Hobbs. Other drivers in the FJ race: Peter Revson, Chris Amon, Richard Attwood, Paul Hawkins and Mike Spence. So much talent; so much fun. Finally, as they sipped a beer or two in the paddock and pushed the racing cars back onto their trailers, and changed out of their overalls on the grass, by the back doors of their road cars, the day was over. 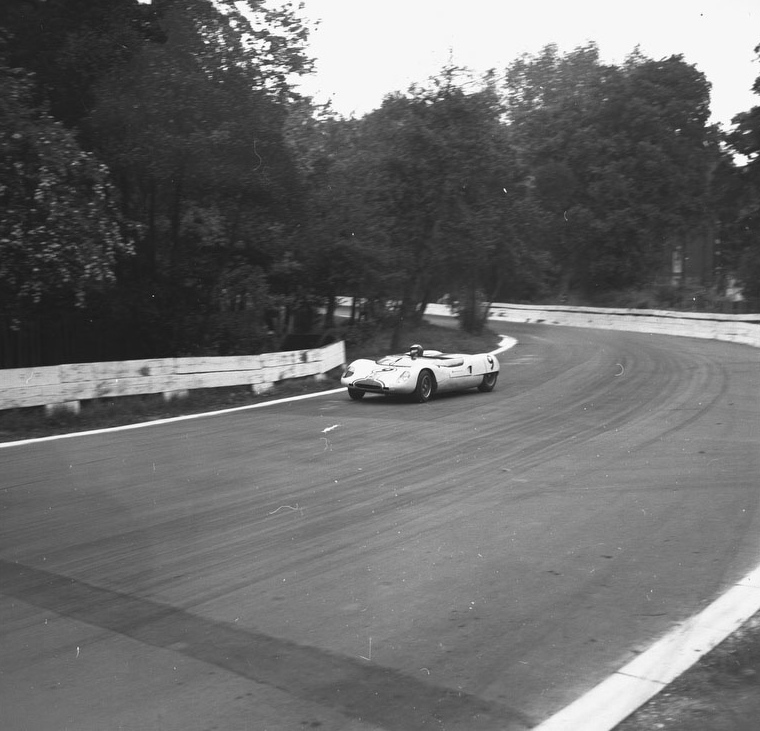 It was British motor racing at its best; it was Jim Clark at his best – in a car as simple and as elegant as a Lotus 23, balancing slides with fingers and toes, absolutely on the limit, every corner, every lap, on an early-June Monday in London, in the tiny space that lay between the Indianapolis 500 and the Belgian Grand Prix at Spa.